We’re so happy you’re considering historic Downtown Marine City for your group outing! With our riverfront location on an international shipping channel, guests can enjoy watching freighters while dining, shopping our unique assortment of retail stores, and then take in a play or musical at one of Riverbank Theatre's two professional venues. Marine City, voted a top-10 day trip destination for Metro Detroit, is closer than you think - only 20 minutes from I-94 and 26 mile road. And once you get here, you'll feel as though you traveled all the way up north! Book 20 or more people and get $4 off per ticket. We will hold seats for groups up to 2 weeks before a show opens. 2 weeks before it opens, we will require a final count and booking with a credit card or check. Refunds are not offered, but we'll be happy to exchange tickets to another available date in the same season. Feel free to call with any special seating requirements! Feel free to call the box office at 810-278-1749, visit us at the box office located inside the Inn on Water Street, or email us at info@riverbanktheatre.com. We would love to help you plan your group visit to Marine City! Looking for a place to dine? Look no further than the Inn Kitchen, located inside the Inn on Water Street, Marine City’s new boutique hotel. The Inn Kitchen offers fine dining in a casual, cozy farmhouse atmosphere. Chef Max Zimmer, with formal training in French technique, brings a contemporary, global flare to traditional farm fresh cuisine. Add to this a carefully curated wine list, craft beers and cocktails, and our famous, homemade cheesecake, and it’s a truly memorable dining experience you won’t want to miss. Check out the Stay, Play, and Dine and Dinner and a Show packages offered with the Inn and make your trip to Marine City last a little bit longer. 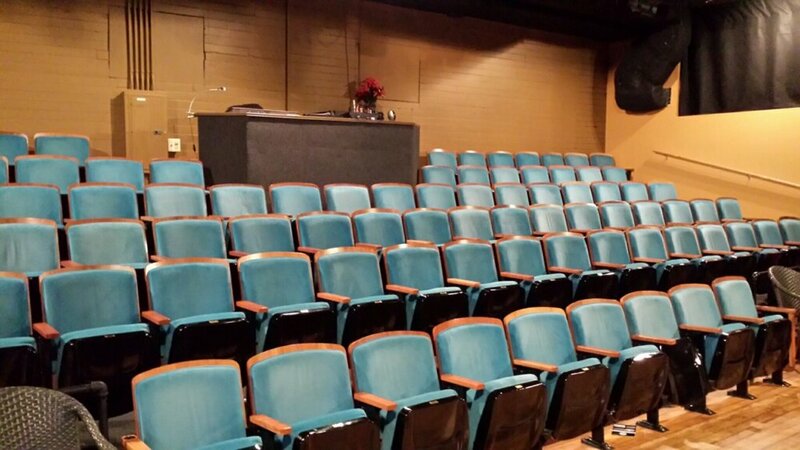 Riverbank Theatre, situated on the banks of the St. Clair River, boasts two professional theatrical venues. Riverbank with seating for 180 patrons and The Snug Theatre, which seats 98. In 2013 renovations began on the historic Marine Savings Bank building and converted it into the gorgeous 180-seat venue, Riverbank Theatre. The 1922 architectural gem, complete with two walk-in safe vaults (one serves as the coat closet) makes a beautiful and ornate theater and offers great acoustics for professional performances. The Snug, located two blocks north of Riverbank is equally charming, nestled in the heart of our historic shopping district. 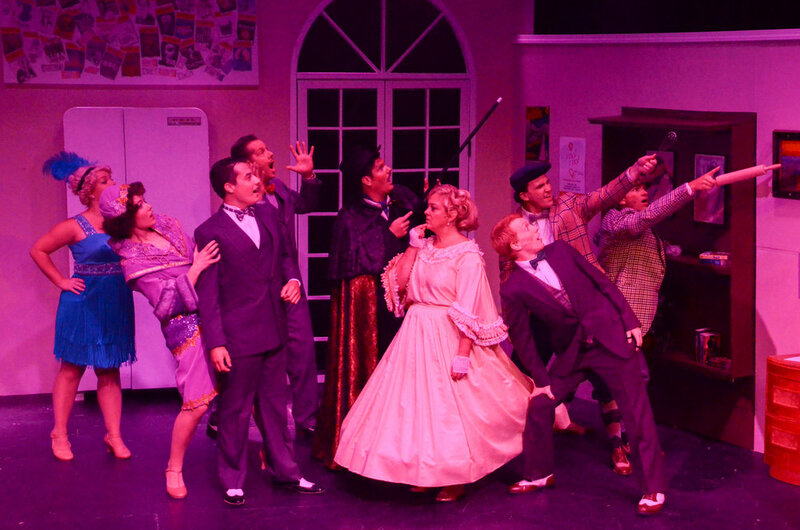 You can expect to see professionally produced comedic plays and classic musicals we all love. Spend the day and see why this is one of the best new, old towns. Riverbank Theatre, 358 S. Water St. The Snug Theatre, 160 S. Water St.
"We invited members of several area churches to see 'Godspell'. The reservation process was easy, and seeing the show together was a fun way to fellowship. 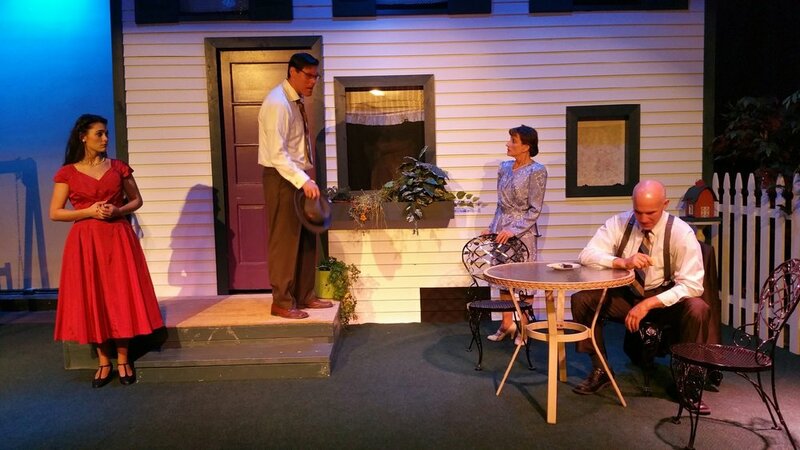 Everyone was impressed with the energetic acting, singing, and staging, all in the intimate setting of a renovated bank! No city traffic, great restaurants nearby, and a fabulous view of the river made for an especially memorable outing." Download a PDF of our 2019 Season!